See how he’s holding a shamrock? 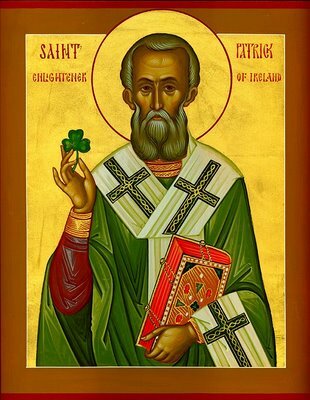 St. Patrick used the three leaves to explain the Holy Trinity to non-Christians in Ireland. Nice. Anyway, where there’s a holiday feast there’s food. 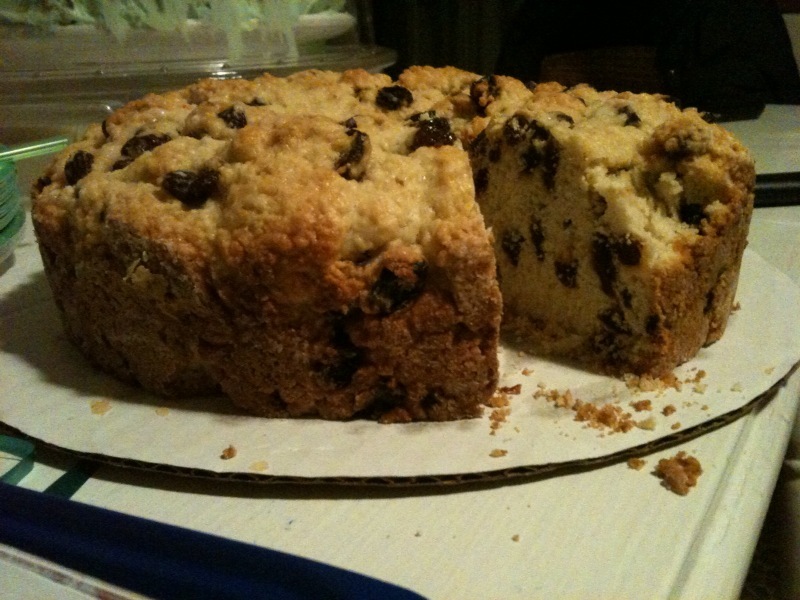 And although St. Paddy’s traditional dish is corned beef and cabbage, I learned about another Irish food last weekend—Irish soda bread. I had never heard of this yumminess before! It’s a dense, cake-like bread with raisins on the inside and toasty-brown on the outside. Anne Marie’s mom made us one, and we ate it up. As traditions go, I think the Irish soda bread is a keeper. I plan to test it out as soon as I get the recipe from AM’s mom. Categories: Friends | Tags: irish soda bread, kristen & anne marie, st. patrick's day | Permalink.